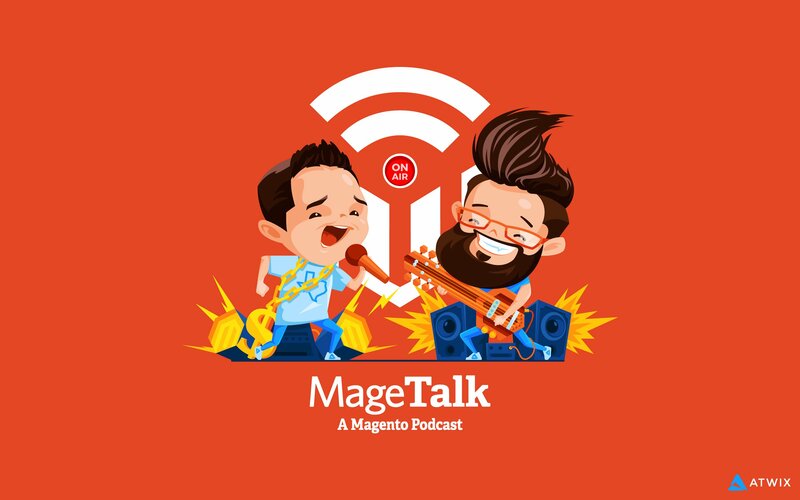 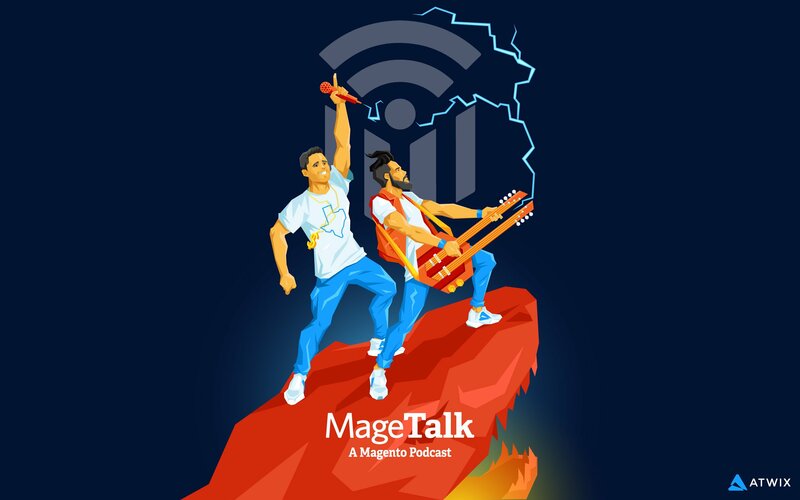 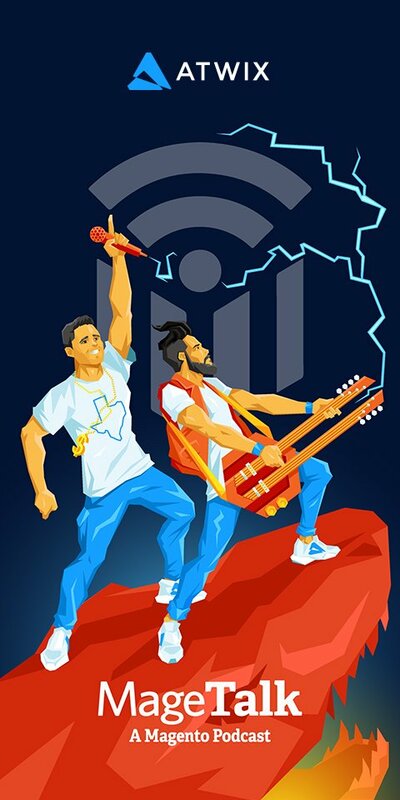 Among a long list of podcasts that I listen to daily, there is one that I enjoy with extra love and attention – a weekly episode of Magetalk with Kalen Jordan and Phillip Jackson. If you are reading Atwix blog, you are most likely also a fan of these two guys, who are always on top of the game when it comes to the latest Magento news. 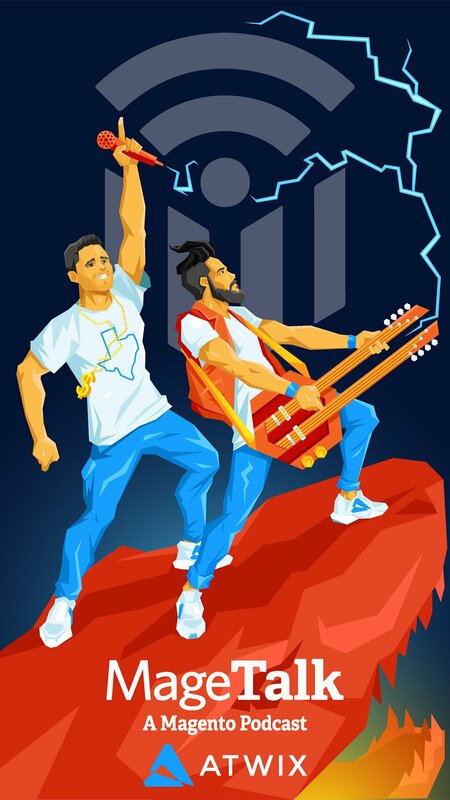 Sometimes you even get to know things you are not supposed to know. 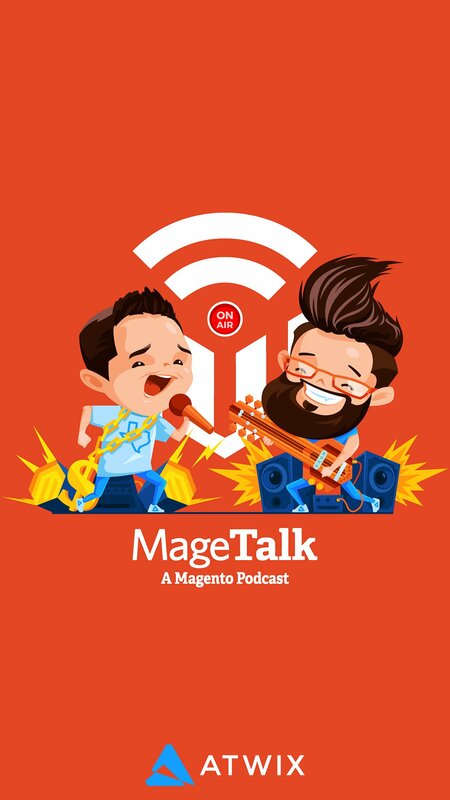 There is even a conspiracy theory that Phillip has discovered a Magento secret so deep and dark, that Magento had to make him an MC of Imagine 2018, grant him Magento Master for the third time, and even sent Mark Lavelle to his shower – all to keep Phillip quiet. 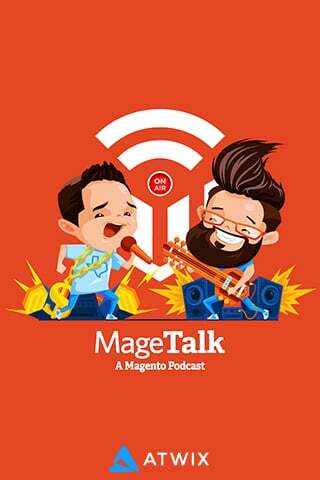 The very first time when I heard an episode I remember Kalen asking listeners to leave a 5-star review of the podcast. But this is a one-time thing that you can do to show love and support. 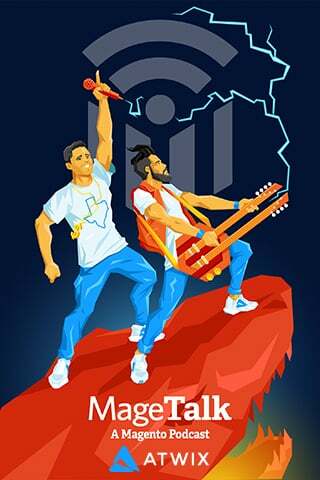 So we decided to go an extra mile and give some love to Magetalk with our famous visuals. Welcome two Magetalk wallpapers, that you can use on your laptops, phones, and even print out a poster and put up in your office. Use them, like and share. 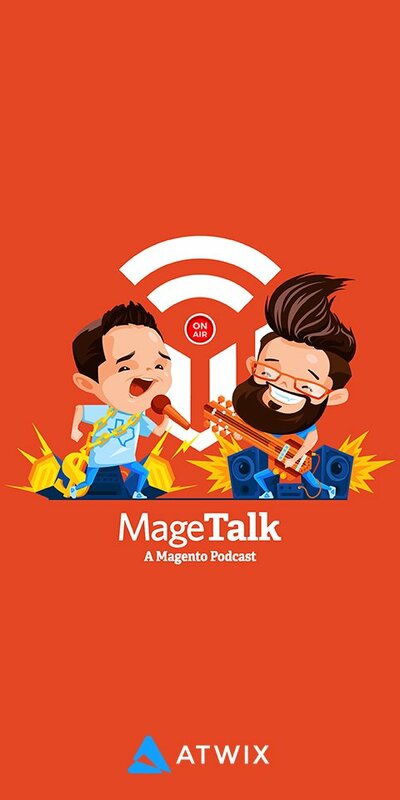 And let’s brighten up a Twitter feed with some Magetalk love!